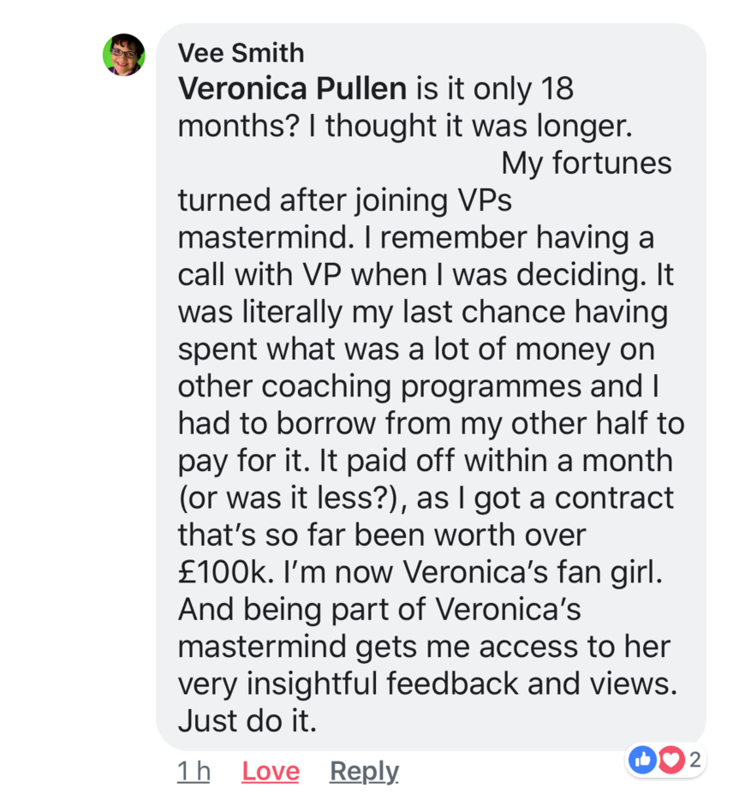 From: Veronica Pullen, AKA The Mile-Deep Marketing Queen..
I’ll Personally Hold-Your-Hand As We Amplify Your Expert Authority and Build Your Personal Brand on Facebook so You Become a Highly-Visible, Trusted, and Respected Expert, Generating a Consistent Stream of Inquiries and Paying Clients - in Under 26 Weeks. I wanted to ask you something: Right now, at this very moment.... how much of your business comes from Facebook? Do you meet most or all of your clients networking ‘in person’? And you're frustrated with the amount of time it takes away from your business to attend these meetings, but feel you have no choice as your online sales just aren’t happening for you the way you want them to. Have you built a reasonable-sized Facebook audience, you're getting some paying clients here and there, but wish you knew how you could scale your value and income, attract more opportunities and become well-known on Facebook for what you do? Or... are you on Facebook, spending time online regularly promoting what you do, but your visibility is declining, very few people buy , and you've come close to ditching Facebook entirely more than once!? What would happen if you were unable to attend your networking meetings or meet up in-person for a significant amount of time – let’s say 3 months – due to illness or because you wanted to realise your ambition to travel or to take an extended holiday? Where would your inquiries come from during that period? And how about if the opportunity arose for you to move lock, stock and (biscuit!) barrel to somewhere you’ve always dreamed of living; halfway across the country or even the other side of the world – would you lose a significant chunk of your income, and have to start networking again from scratch? Not to mention the immense amount of pressure and stress you’re putting on yourself right now; spending squillions of hours attending meet-ups to reach a handful of people at a time. All that time you could be spending with the special people in your life, and doing the stuff that makes your heart sing... it's such a shame you’re sacrificing all of that for your business. You do realise you can’t get that time back, right? 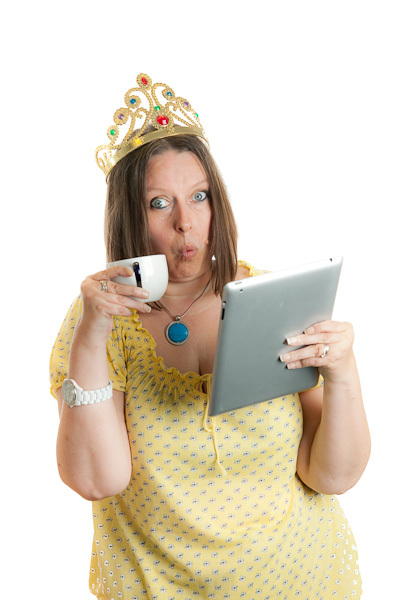 I’m Veronica Pullen, AKA the Mile-Deep Facebook Marketing Queen. I was born with partial hearing loss, and at the age of 12, diagnosed with Rheumatoid Arthritis. 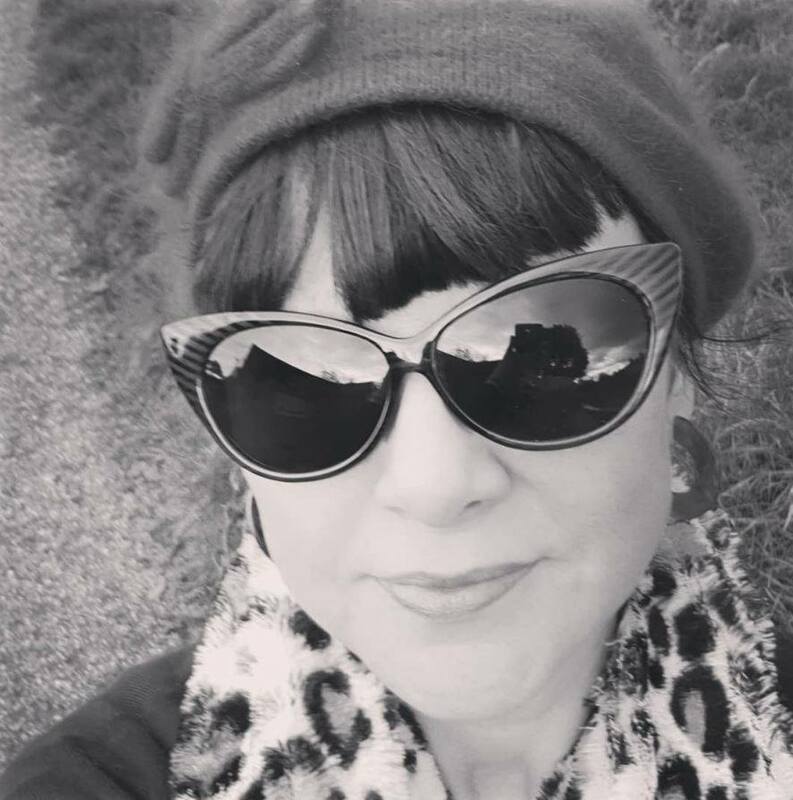 20+ years ago, at the age of 26, my driving licence was medically revoked when a routine Optician’s check revealed I had an eyesight condition called Retinitis Pigmentosa. I would go to work all day, then get home and jump on my computer to chat to my friends. I’ve always been very conscious that I have an autoimmune condition which means that the whole get up early, commute, work flat out all day, and commute home like a ' normal' person makes me VERY unwell – so in 2010 I opted out of that and now getting the rest I need to function at my best is my priority. Now I wish I could tell you that the day after I set up my business, I had a a flood of online leads and sales, and a big team of people in place to run the business while I had a lay in. In the early days I still tried to fit myself into ‘that mould’; the "hard work = results" one. The one that declares that you can’t expect to get clients unless you get up in the middle of the night to attend networking events at the crack of dawn – which incidentally in my case, meant me getting up at 3.50am to get physically mobile enough to be at a breakfast meeting! 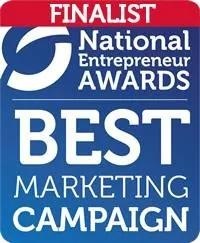 I did that for 11 months because I thought that was what I 'had' to do to grow my business! Now I look back and ask myself, what on earth was I thinking?! And guess what? I didn’t get many clients out of all of that effort either!! But there IS a way you can reach tens of thousands of your ideal clients on Facebook - with only minutes of your time each day - WITHOUT having to leave home! And I’m not talking about spending big on ads either! In 2014, I spoke at an event in London called the "Small Business Success Summit", in front of an audience of about 350 people. I won that spot on stage through selling the most tickets to attend the conference. (Well, it wasn't 'just' because I was their top affiliate. It was largely to do with the 'Mile-Deep' relationship I had built with the event organiser. "How are you selling SO MANY tickets? What am I missing?" "I've sent a couple of emails, and posted a couple of times on Facebook", I told him. "I have a Facebook ad running too." "That'll be it" he said. He thinks I'm spending big on the ads. "How much are you actually spending on the ads?" I so wish I had taken a picture of his face at this point! "How on earth are you getting results like this from £1 a day?!" When your posts or ads show up in their newsfeed, because you've already 'Mile-Deeped' with them, they care enough to stop scrolling and read or watch your content. When you make a recommendation, your endorsement carries weight. Your authority in your topic is magnified, your teaching is their reference manual, and your name becomes synonymous with your area of expertise - bringing you regular recommendations, referrals and new paying clients. It's how I've grown my business from scratch online. It's opened up so many amazing opportunities and brought me amazing clients, connections, friends, and referral and JV partners... worldwide! And it's how my husband was able to leave his full-time job to be here full-time too. With, or without ads, you can 'outsell' the big names who don't know the 'secret'. And... if you wanted to, you can do ALL of this without stepping foot outside your front door! When you are marketing on Facebook, the 'Mile-Deep' way, if you do want to take that long trip away, or the opportunity arises to move to the place that your heart longs to be, not only will your business only will your business be POSITIVELY impacted by you moving... you’ll likely already have built a great network in wherever it is you're heading, before you get there. 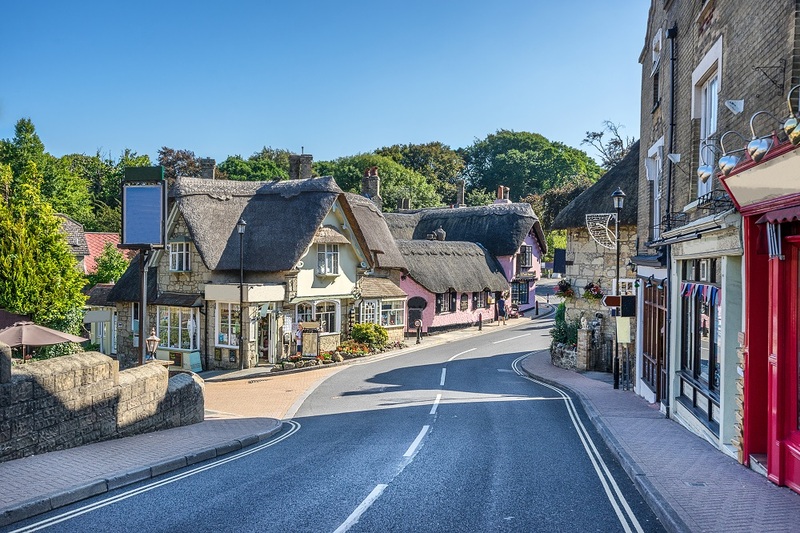 As Another Example of Results from Mile-Deep Marketing, Let Me Share the (Almost Award-Winning) Story About the House on the Isle of Wight. My love affair with the Isle of Wight began in 1977. My mum and dad took me on holiday to the island, staying in a hotel near the cliff walk in Shanklin. As it turned out, that was our last ever family holiday. My dad died very suddenly, three months later. I was one month away from my 7th birthday. A few years later, I joined a "Friday Club" at a local church. It was 'the 'place to go on Friday evenings for kids my age. Each August, they'd take a group of 'Friday Clubbers' to the Isle of Wight for a week's adventure holiday. One year, I went with them. I was probably 9 or 10. By some 'happy accident' (!! ), the place we stayed, "Winchester House" was only a few metres along the cliff path from the hotel I stayed with my mum and dad. In-between the hotel and Winchester House is a green area with benches. That area was where I most felt the spirit of my dad. In adulthood, I would holiday on the island each year, and top of my 'must do' list was to visit that green area to 'see' my dad. I'd spend half the year looking forward to being on the island for a week, and the other half of the year aching to be back there after our annual trip. It was my dream to live on the island. I couldn't see how it would be possible though. It's not somewhere you move to if you rely on a good salary, and both me and my husband did. I'd built my business to a point where we could afford for my husband to quit his full-time job and join the business. Now, there was NO reason why we could not move to the Isle of Wight. The annual trip to the island was only a few weeks away. We decided that if we found the right house during that week, we'd move. We found the right house. This 20+ year dream was looking like it might actually be happening! OMG! Sitting at the desk of the rental agent, we explained that we still owned a place in Surrey, so for the short-term we'd be paying for both homes. I could sense the agent didn't believe we could afford it. She didn't say anything, but written all over her face was "yeah, whatever?!" "Before I can submit your application, I'm going to need to see a bank statement with enough cleared funds to cover 6 months rent, your removal costs, and the deposit. 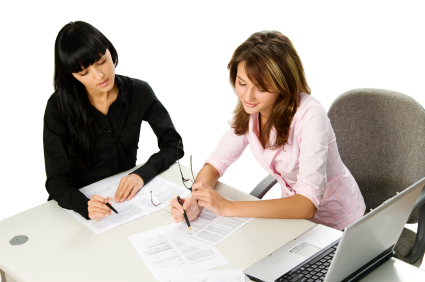 AND I need three written character references from people who have known you for 3+ years - by 9am on Monday morning." She's smirking. She thinks she's got me. "Sure. I'll get all that over to you first thing Monday", while mentally calculating the balance of my PayPal account. I think there's enough in there but I'm not certain. I'm also wracking my brain for who I can ask to write me a character reference at the weekend. "3 Sales from a Mindset Shift"
Celebrating. I have just put an offer to my list. It was something I was working on before I started working with Veronica, but the important thing I did different this time was to follow her recommendation of getting into the right vibration to sell. Then, when I checked, I'd made three sales! Delighted! 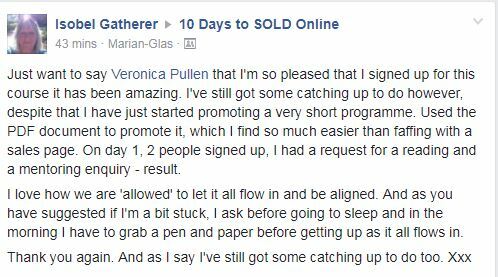 Big thanks to you Veronica for highlighting the importance of being connected, and in the right mindset to sell, before you press the button! I've got to pull something out of the bag, if for no other reason than to wipe the smile off that agent's face! We jump in the car to travel home, and I fire up PayPal. I'm £2,000 short of what we need. 4 years earlier, I was declared bankrupt so I had no credit cards to fall back on either. If this move is going to happen, it's up to me to find an additional £2,000 over the weekend. Saturday morning, I'm Skype-ing a friend and telling her the story. "What you need is a Jeff Walker tax promotion". As the story goes, many years ago, Jeff Walker received a big unexpected tax bill. He put together a ridiculously no-brainer offer, and told the story of why he was offering so much for so little. Very quickly he had enough to cover the bill. So I put together a no-brainer offer to work with me 1:1 for 6 months, capped to 5 people. 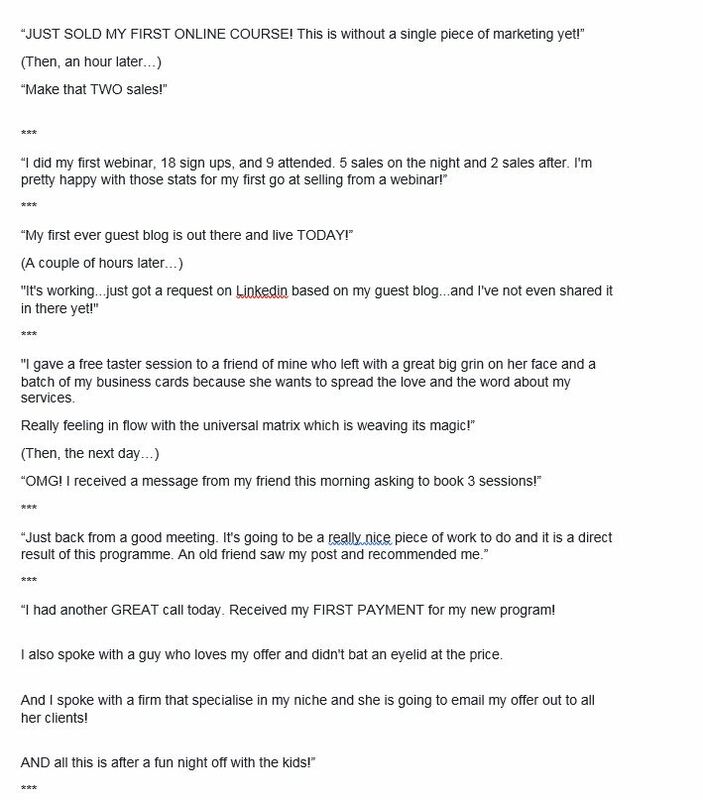 I built a sales page where I told the story I'm telling you now - and at 3.15pm on Sunday afternoon, I sent an email to my list. And This is Where Things Got VERY Interesting! I had to leave the house. I needed to distract myself from staring at the screen, refreshing my email stats every 10 seconds! Within minutes, as Bill was putting the car into gear, my phone pinged with a PayPal notification. I had made the first sale. Before I could get back on my computer to turn the sales page off, I had made 7 sales! What Happened Next was Mind-Blowing! Three of those seven people emailed me to say they didn't want the 1:1 program they had purchased. They told me that they'd bought because they wanted to give back to me. They wanted to help me achieve my dream. Because as well as that over the years we'd built a connection online, they'd received a ton of value from me sharing my expertise, which had already benefitted their business... they saw this offer an opportunity to give back to me. In all the focus on the offer, I realised I'd forgotten about the character references. Argh! I sent an email to Nigel Botterill, CEO of the big national business growth group I was a member of. I told him the story, and asked could he please do me the biggest favour and give up some of his Sunday evening to write something for me. His reply came straight back. "You'll have it in an hour." Two more emails sent. Two more replies. At 7.30am on Monday morning, I emailed the rental agent a screen shot of my PayPal account with a balance that exceeded what she asked for, along with the character references. 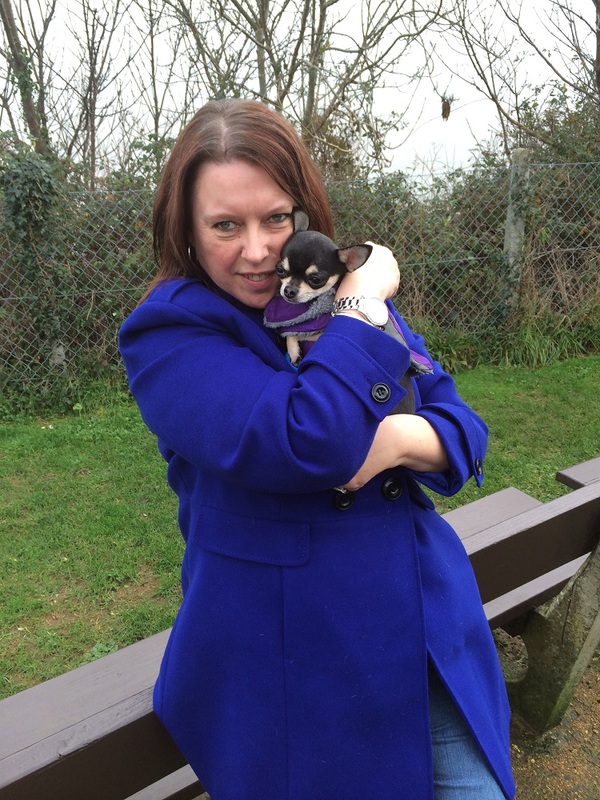 Me with our eldest Chihuahua, Pepper, at the area of green between the hotel and Winchester House on my birthday in 2013, 'visiting my dad'. Facebook offers the biggest networking opportunity for you to reach the people who need and want your help. I mean, over half of the world's population have a Facebook account. There is no bigger 'networking event' for you to attend. Trouble is, as a free platform, the barrier to entry is low. That means there are LOTS of people competing for the attention of the same audiences. And, due to the excessive volume of people competing for space in the newsfeed, the Facebook algorithm squeezes your post reach a tiny bit tighter every week. ... doing its best to keep you and the people who need your help separated!" But... the solution to this is NOT trying to significantly increase your post reach. 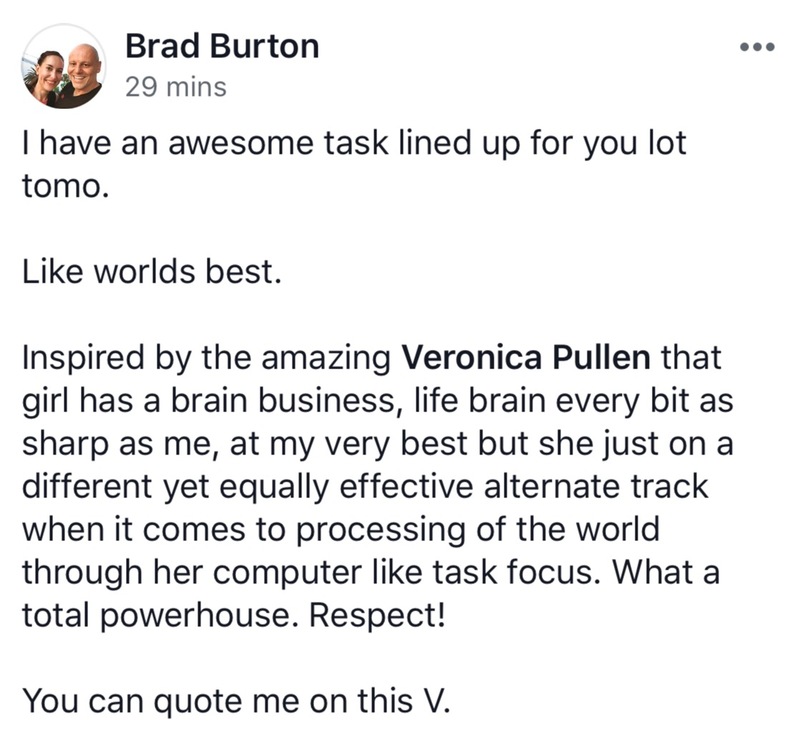 "14 Inquiries from One Facebook Post"
I've just promoted my first offer following Veronica's teaching, and I am thrilled. From one Facebook post, I received 14 inquiries, and very quickly I had sold all 4 places in my first intimate event. Standing Out From the Noise Doesn't Mean Shouting Louder than Everyone Else! "You need to post more often!" "IF YOU WANT TO REACH MORE!" If you're extroverted online, posting a lot of 'noise', hoping the occasional post here or there gets noticed is easy. The issue is, that most of us are NOT online extroverts! If you are not extroverted online, you will struggle to make any extrovert-based Facebook strategy work for you. Posting lots and being ‘noisy’ every day on Facebook is not your natural flow. When you try to operate out of flow, whatever you're trying to force yoursel to do either doesn't get done consistently, or it doesn’t work. The other disadvantage of ‘extroverted Facebook marketing' is the Facebook algorithm has too much control over your visibility. You see, ‘ extroverted Facebook marketing' focuses attention ‘above the ground’. Mile-Deep Marketing puts your focus ‘below the ground. You’re probably now wondering, what is this 'ground' I’m talking about? Imagine for a minute you are stood on stage in Wembley Stadium. You want to share your message with the 90,000 people inside the stadium but you do NOT have a microphone. Without a mic, how many of those people are going to see AND hear you? Now, imagine you are with your audience in a tunnel. You still don't have a mic. Are you most likely to be seen and heard by everybody in the tunnel, or in the stadium? You turn to the stadium event organisers. "Hey, they can't hear me. Can I have a microphone please?" you ask. You’d need a big budget to be to be heard by everyone inside the stadium EVERY time you have a message to share, right? And right there is the problem you're likely encountering on Facebook! 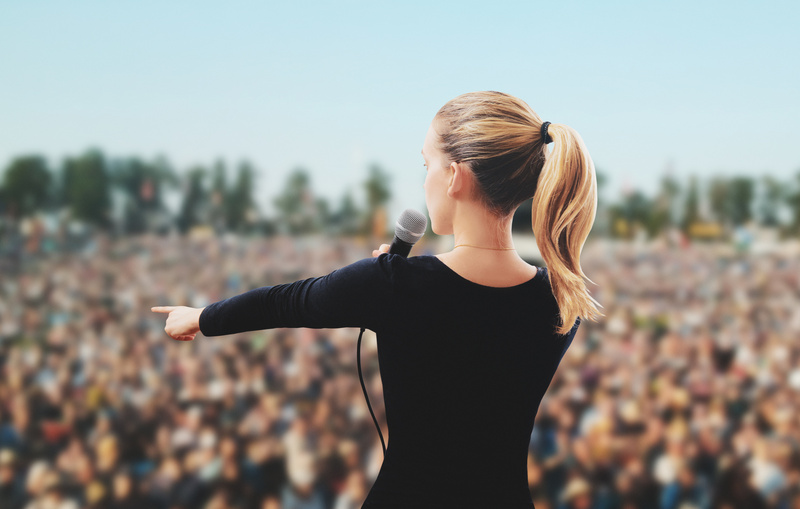 When you publish a new post on your Facebook page or profile, you are attempting to be loud enough to be seen and heard by those ‘90,000 people’ in the stadium - without a microphone. With the Facebook algorithm in play, you reach very few. And this is NOT that old “ you have to pay to play” chestnut either. Running Facebook ads to your stadium audience will only marginally amplify your voice anyway. ... an audience that WANT to hear from you! The algorithm becomes nothing more than an irritating fly in your tunnels, and in at least two of your tunnels, the algorithm doesn’t even exist. The fundamental reason Mile-Deep Marketing will put you head and shoulders above your 'competitors' is CONNECTION. We’re living in an Information Era. Your audience have information coming at them from every angle. Nowadays, more information = noise. What is missing, is CONNECTION! As people, we CRAVE connection. YOUR audience is CRAVING a connection with YOU! They want to FEEL you care… that you have HEART. Consequently, as individuals, we are becoming increasingly DISCERNING about which experts we give our attention to – and filtering out the noise from everyone else. 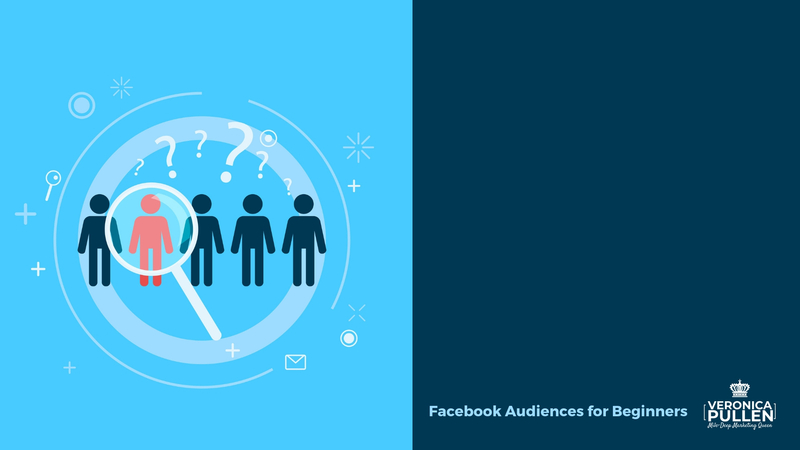 So, as many marketers continue to pump out a never-ending stream of information, when you incorporate ‘Mile-Deeping’ into your Facebook marketing and advertising, YOU will be the expert satisfying your audience’s need for connection. You’ll become the expert who CONSISTENTLY captures their audience’s attention having EARNT the right to occupy that space in their newsfeed. Which in turn will bring you what YOU want... more paying clients from Facebook! Mile-Deep Facebook Marketing Brings Benefits Way Beyond the Increase in Inquiries, Subscribers and Paying Clients! One thing you should know is NONE of those seven people who bought my " Isle of Wight house-move offer" had ever met me in person. They were not my offline friends stepping up for me. These were my online friends who I'd built mile-deep connections with on Facebook, through the way I network for my business on Facebook. Only about 5% of my community and paying clients have met me in person. I rarely attend offline events either! I AM one of the most visible experts on Facebook - even though I post a lot less than my peers, and spend much less on ads too. When you understand how to epromote yourself on Facebook the mile-deep way, you will rapidly become the #1 well-known expert in your space. You'll be able to spend 30-minutes in Facebook each day and be seen and heard by tens of thousands of your ideal clients, in a meaningful way. Mile-Deep Marketing also removes the stranglehold that the Facebook algorithm has over you. There are at least two places that you can 'mile-deep' in Facebook where the algorithm doesn't even apply right now. And finally, when you understand the principles of Mile-Deep Marketing, you'll be able to apply what you've learnt to every other social network or forum too - now, or in the future. Generated our entire household income for 5+ years (and funded the 3-4x holidays every year) - despite having several 'health challenges', attending business events rarely (annually at most!) and being medically disqualified from driving! Attracted almost all my audience, subscribers, and paying clients, who tell me they see me EVERYWHERE - I am HIGHLY visible on Facebook, even though I spend WAY less time on Facebook than it might seems, and sometimes I don't post on Facebook for days! Been hired by some of the leading names in the UK Expert industry… who usually tell me they contacted me because I've 'stayed in the room' and cared when I didn't have to - 'mile-deeping' in other words! Crowned The Association of Coaches, Trainers and Consultants Small Business Coach of the Year – with a MARGIN of 170+ votes! 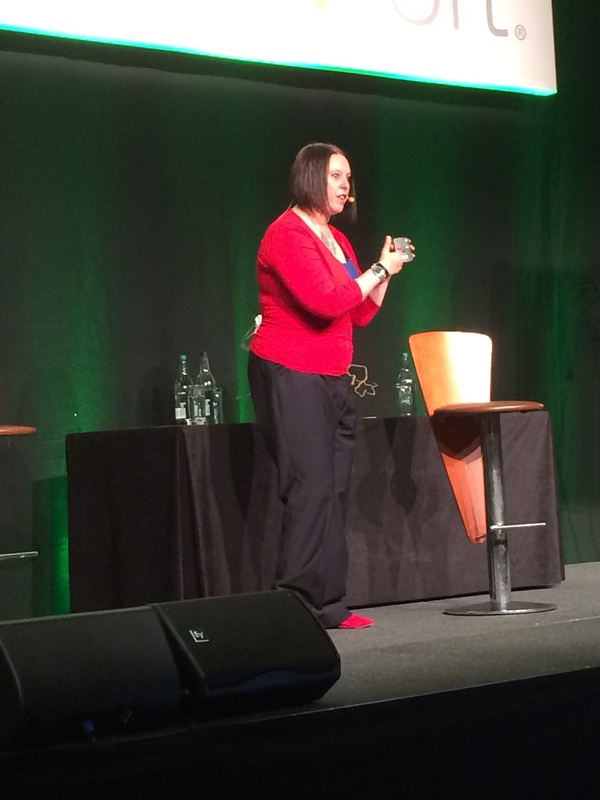 Invited to speak from stage at events nationwide – including being the ONLY woman chosen to speak at a SuperConference for Coaches, Trainers and Consultants – sharing stages with some of my own business heroes - including Ryan Deiss, the first time he spoke in UK. Or, the short version is EVERY person I have met online, worked with, or been recommended by is as a direct or indirect result of my Mile-Deep Marketing on Facebook. It's likely how and you and I first met too. You can have all this too you know? I'm offering you the opportunity to benefit from all the lessons I've learned, when you work with me to discover how to use all the powerful features of Facebook to build your highly-engaged audience, create mile-deep connection, and attract inquiries and paying clients consistently from your Facebook marketing, networking and advertising. Introducing my 6-Month Mile-Deep Facebook Marketing Mastermind. ...then this is your opportunity to work with me to make it happen! Do you want to be celebrating yourself for stepping up and investing in your business... looking forward to enjoying better results from Facebook next year, and excited about the changes you've seen ALREADY?! Or do you want to be berating yourself that yet another year is coming, and your business will still be stuck where it was at the start of this year? What if you could position yourself as an expert through Facebook, and then enjoy a consistent stream of people wanting to work with you? It would change everything, right? You can 'eliminate' competition overnight, stop chasing customers, and by the time you get on a call with a prospective client, they're already 90% sold. So, why aren’t you doing this? 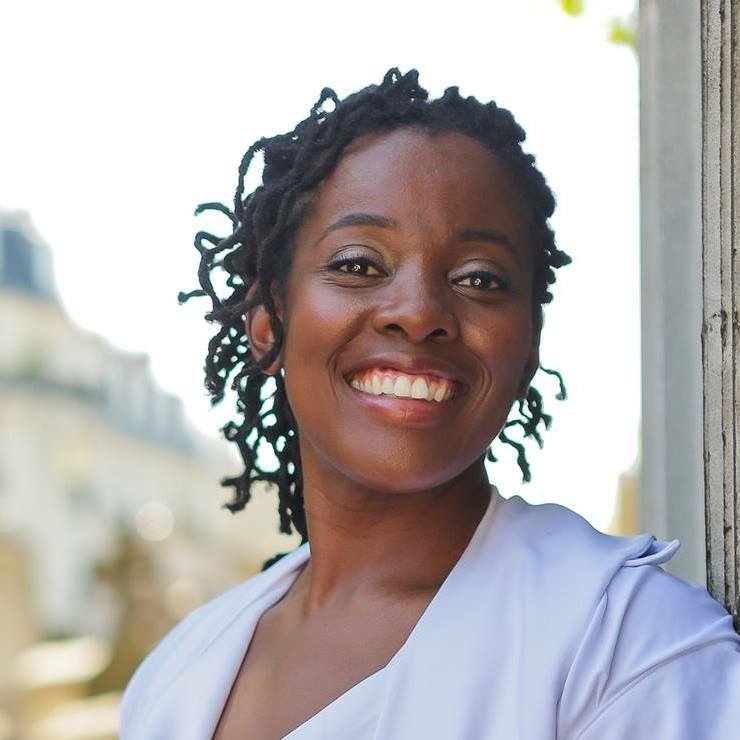 Why aren’t you already positioning yourself as an authority, building an audience of raving-fans, then selling them your online course, done-with-you coaching/mentoring, or done-for-you services? Let me take a guess? Firstly, it can be hugely overwhelming. If I was to create a list of all the things that you’d need to know and do – just off the top of my head – I could literally wallpaper my house with it. They’ll be some pretty mammoth tasks on that list as well! I’ll be honest, it’s also a little bit scary at times; you have to put yourself “out there” and you’ll have a few people who’ll jump straight on your mistakes with a magnifying glass. Going at it alone and blind is both SCARY and HARD! That's just reminded me... for most of 2012 I WAS virtually blind. As well as everything else, I developed fast-growing fully formed cataracts on both eyes, and then my RA medication caused post-op complications which temporarily rendered me totally blind. Yet I doubled my turnover that year, and published my first book! Would you be able to do the same if the same thing happened to you tomorrow? Let me hold-your-hand and walk you through it. I can’t promise you won’t get sweaty palms, but I can show you step-by-step how to make this transition (and support you as you transit into your new ideal lifestyle) in less than six months. "Step-By-Step In Such A Great Way"
“Veronica, it's not just the quality of what you offer, it's the way you know what to do, and most importantly how to do it properly - really drilling down into the detail and what that should look like. So, What’s Included in Your Investment When You Join the 6 Month Mile-Deep Marketing Mastermind? Our work together will begin today... but the clock won't start ticking for your 6-month mastermind until 1st January! These classes are the starting point of how you will transform the way you use Facebook, and give you a gentle immersion into the Mile-Deep Facebook Marketing and Networking Principles. The daily organic Facebook marketing and networking activities to fuel your business growth during 2019. ... so you can enjoy significantly increased Facebook visibility, become omnipresent on Facebook, and get known, liked, trusted, respected, AND PAID by your dream clients, favourite influencers, and peers. We'll kick off with the 6 styles of content you should be posting on Facebook to fuel your business, why each format matters and serving the 3 core groups in your audience. ... and how to - with very little eleverage and repurpose each piece of your content to become omnipresent - with very little extra effort. So you will increase your visibility, be seen AND heard by more of your ideal clients, and imultiply your mile-deeping and sales conversion opportunities! How you can use Facebook advertising effectively and profitably to SUPPORT your organic Mile-Deeping, when you want to extend your reach with your 'Stadium' and 'Tunnel' audiences. I'll take you under the hood of the Facebook advertising platform so that you will grow your engaged audience, enjoy more mile-deep connections, and generate more conversions - for less 'per result' ad spend. And finally, we'll move onto Facebook Messenger (Bot) marketing - one of ONLY two areas in Facebook where you can achieve 100% visibility. I'll guide you through how to enjoy mile-deep conversations with your most-engaged audience - increased sales opportunities from utilising one of the most powerful engagement strategies - and without sounding like a robot! ... giving you breathing space to enjoy the festive period, or work through your tutorials to make some initial improvements and enjoy early results. You'll have full access to our private Facebook community group during this time, to be supported and get any questions you might have answered. 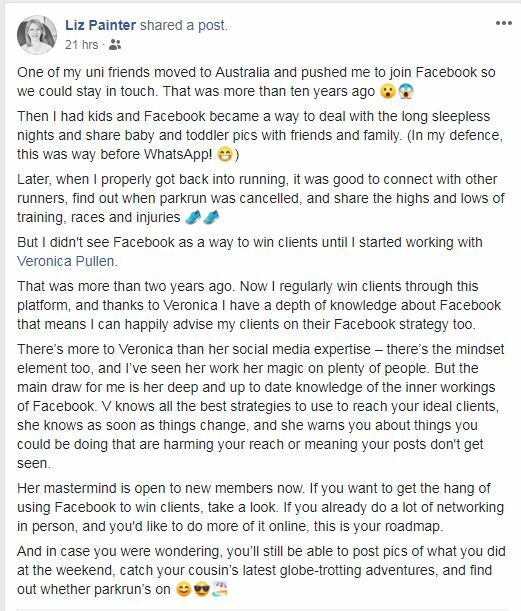 Your opportunity to be laser-coached by me personally through any Facebook or business challenge that you have - twice each month. I'll also share behind the scenes in my own business, what is working for me, new strategies I have learnt, Facebook updates etc. 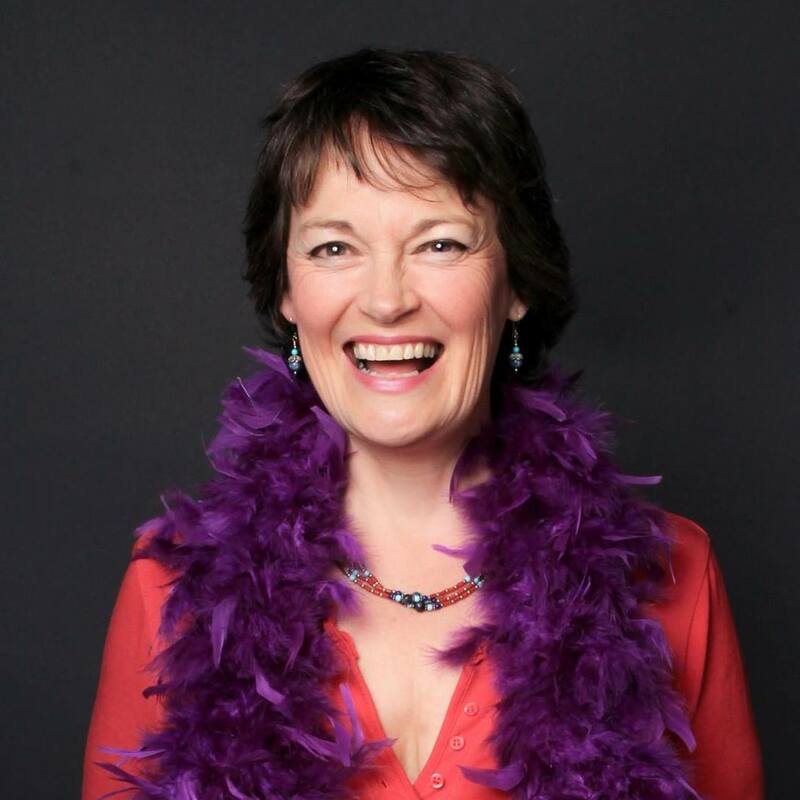 You'll enjoy the benefit of being inside my 'Inner Circle' and hear from me what I am learning, discovering and experiencing that has direct benefit to your business growth. Each month you will have the opportunity to participate in our Group Focus project. These will be mini-goals we commit to achieving within that month that will support you to implement more of the Mile-Deep Marketing Principles and multiply your results. 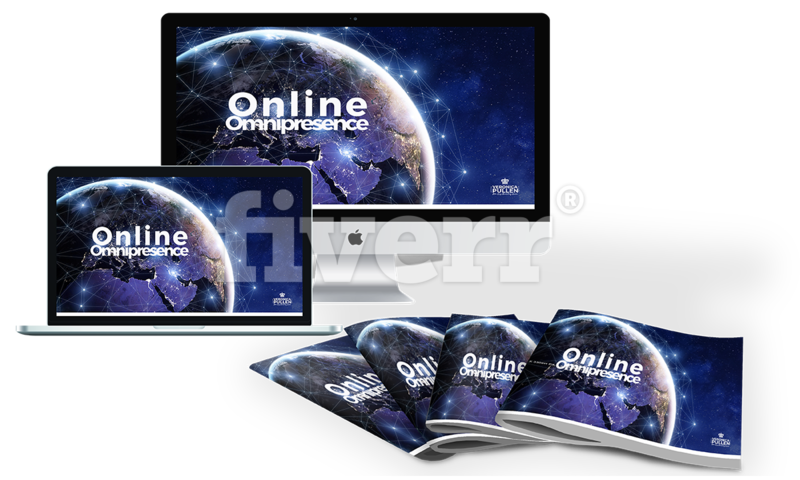 These could be increasing your mile-deep connections, attracting a certain number of leads, booking sales calls, generating leads from Facebook ads at the lowest cost, or something else of the group's choice. But, the net result to you of participating will be positive growth in your business and/or overall sales banked. 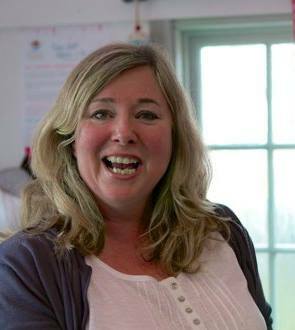 When you've made your first sale from your new funnel, your Facebook ad's doing great, or you've just enjoyed a record month, you're so excited and want to shout it from the rooftops - but you've nobody to share it with who will understand why you're so excited, and who won't dampen your spirits with their 'poorly phrased response', borne out of their own limiting beliefs. Or, maybe it's that moment when you're about to throw a wobbly because this one 'simple' thing you're trying to do with your page is just not working and the end of your tether is descending upon you... who do you know who can understand your frustration AND give you a fix for it? Few of us in business have friends and family who understand us - and it can be difficult to build a peer support network around you, people who SUPPORT you without judgement. 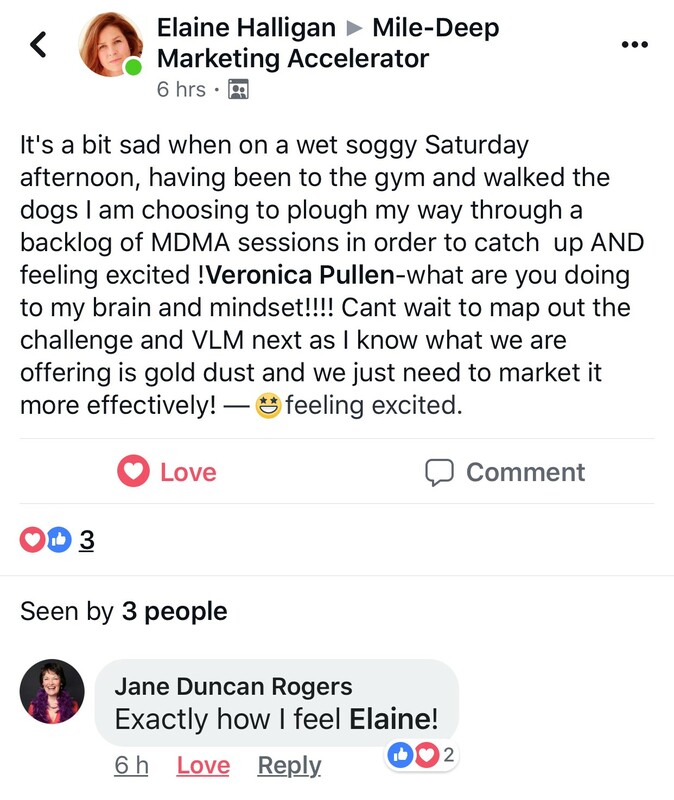 That's where WE come in - you'll be joining a friendly, supportive community, myself, and your fellow masterminders inside the Mile-Deep Marketing Facebook group. You can’t fully get to grips with the Facebook advertising platform in a single session, without using it yourself. 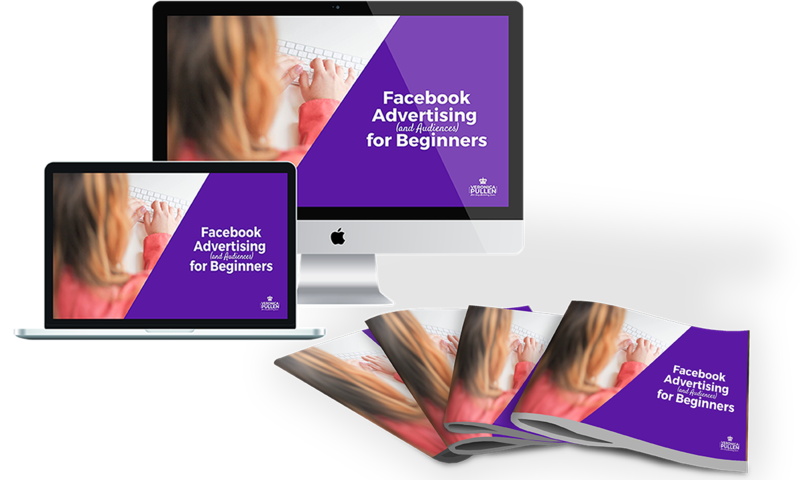 So, your first bonus is my step-by-step Facebook Advertising for Beginners program so you have me by your side, EVERY time you sit down to create new ads! "A Powerful, Valuable and Enjoyable Program!" 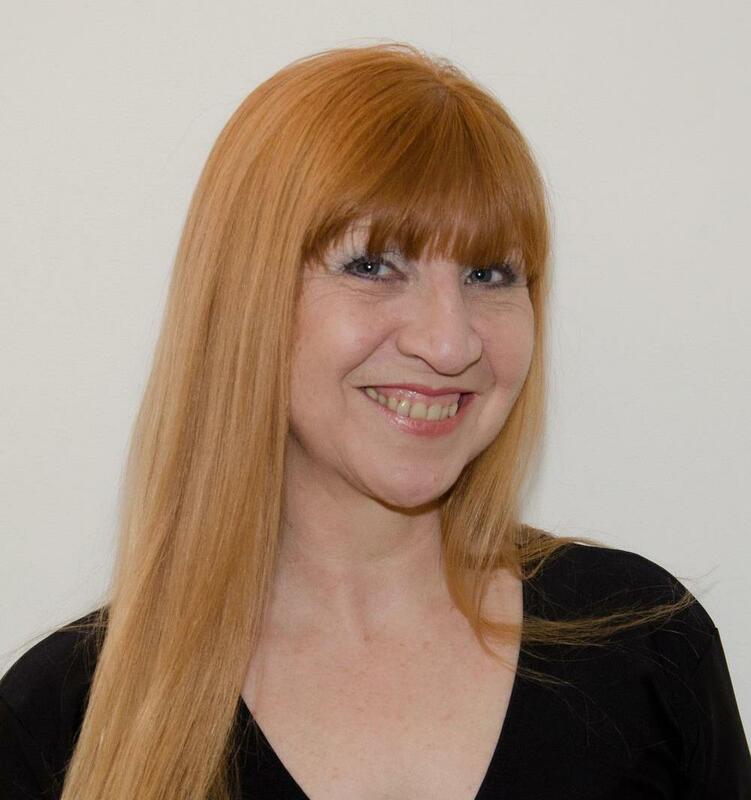 "Since working through this process with Veronica, I’ve created two new services that I love, I'm getting bookings and enquiries from new clients, and have received great feedback from existing clients on my improved clarity. Improve your results from Facebook advertiisng, when you know how to fully track what your audience is already indicating interest, and include and exclude those audiences from seeing your ads, according to the level of their interest. With the significant growth Facebook have seen in business owners wanting to advertise on their platform, Facebook are becoming more discerning about who they allow access to their users. One reason why advertisers have their ads account SHUT DOWN is through their lack of segmenting and non-targeted advertising. So, inside this bonus program, you'll watch over my shoulder as I take you through the set up of each of the audience tracking opportunities inside Facebook so you can get hyper-targeted with your ads, stay on the right side of the 'ban hammer', and enjoy better conversions for less ad spend. 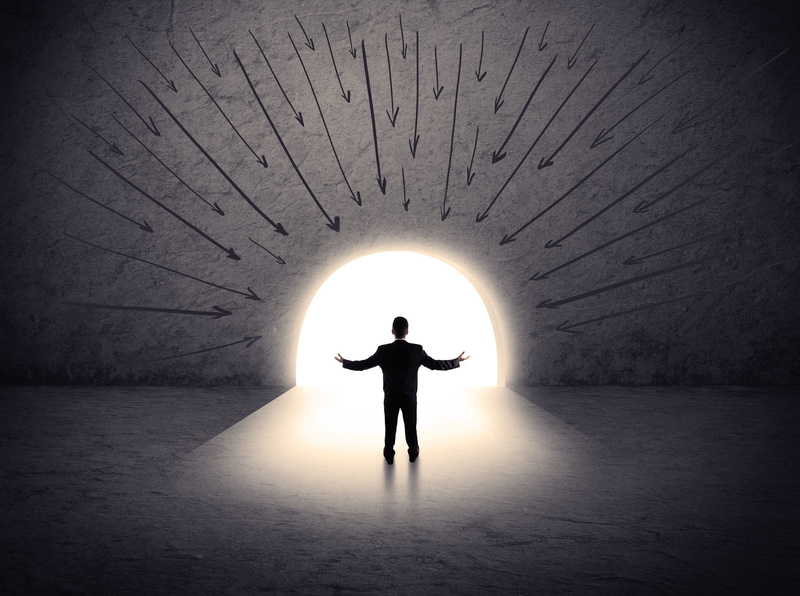 ... becoming the expert who shows up regularly, adding value, nurturing a mile-deep relationship, creating connection, and standing out from the crowd as their natural first choice when they're ready to buy. With the tech how-to covered, so you can watch over my shoulder and follow along! In simple terms, I’m handing you all my tools, knowledge and my commitment to help you grow your business from Facebook. Your commitment to do this will change the way you use Facebook forever, and effectively give you strategies that you can apply to any other social network you use now and in the future. ... your investment will be £999! You can either pay the £999 up-front (and save £250! ), or split your payments into 4 instalments. Who is the Mile-Deep Marketing Mastermind for...? Specifically, you sell your knowledge/expertise, and you want to attract more nationally or globally based paying clients from Facebook. We'll Get Started on Growing Your Business on 4th December, Your 6-Months inside the Mastermind Begins 1st January 2019. You're Receiving ONE MONTH FOR FREE! Direct Access to Me Inside my Intimate "Royal-Circle", at an Investment Significantly Lower Than Working with me Privately, 1:1. "£1200 Sale from a New Premium Package"
From struggling to sell my services in single sessions at £100, I made my first ever 4-figure sale of a premium package. 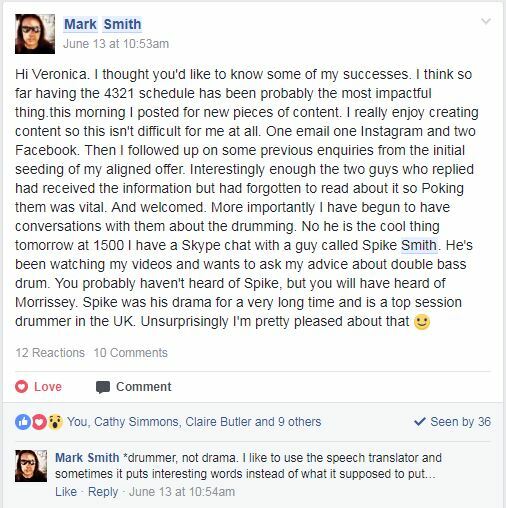 Before I joined Veronica's program, I didn't have a premium package to offer. I didn't believe I could charge high fees. 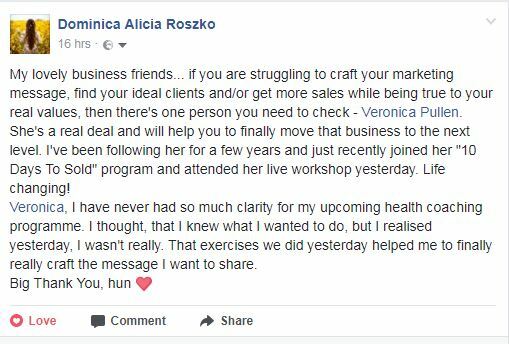 But Veronica helped me realise that what I sell is a premium experience and the right clients will value that. My client was so excited by the package I offered that he paid the £1200 in full, on the spot. Don't Want to Join the Mastermind? If you'd prefer to book your place over the phone, call us on 01983 509042 and a member of the team will take care of you.